Sunday School is an organization within The Church of Jesus Christ of Latter-day Saints, sometimes casually called the Mormon Church, that provides instruction to youth in each age group starting at 12 years old, as well as to adults. Until January 2019, classes were held each Sunday and lasted for approximately one hour, during which a lesson on the scriptures or a gospel topic was presented. As Latter-day Saints, we have become accustomed to thinking of “church” as something that happens in our meetinghouses, supported by what happens at home. We need an adjustment to this pattern. It is time for a home-centered Church, supported by what takes place inside our branch, ward, and stake buildings. As the Church continues to expand throughout the world, many members live where we have no chapels—and may not for the foreseeable future. . . . The long-standing objective of the Church is to assist all members to increase their faith in our Lord Jesus Christ and in His Atonement, to assist them in making and keeping their covenants with God, and to strengthen and seal their families. In this complex world today, this is not easy. The adversary is increasing his attacks on faith and upon us and our families at an exponential rate. To survive spiritually, we need counterstrategies and proactive plans. Accordingly, we now want to put in place organizational adjustments that will further fortify our members and their families. For many years, Church leaders have been working on an integrated curriculum to strengthen families and individuals through a home-centered and Church-supported plan to learn doctrine, strengthen faith, and foster greater personal worship. Our efforts over these recent years to hallow the Sabbath—to make it a delight and a personal sign to God of our love for Him—will be augmented by the adjustments we will now introduce. Elder Quentin L. Cook then spoke of the adjustments, which included a shortened Sunday meeting schedule of two hours: sacrament meeting for 60 minutes, and a 50-minute class that will alternate each Sunday for adults and youth. Sunday School will be held on the first and third Sundays of the month. Primary for the children is held each week. The new curriculum, Come, Follow Me—For Individuals and Families, is a series of resources to help individuals and families more effectively study the scriptures at home. Come Follow Me—For Sunday School, will be used beginning January 2019. "By aligning the entire ward and family on the same scriptures each week, these new 2019 resources take a home-centered, Church-supported approach to gospel living, learning, and teaching". The first year (2019) will focus on the New Testament, which aligns the entire ward and family on the same scriptures each week. Eventually, a four-year rotation of study based on the four main books of scripture will occur. Verily I say unto you, he that is ordained of me and sent forth to preach the word of truth by the Comforter, in the Spirit of truth, doth he preach it by the Spirit of truth or some other way? And if it be by some other way it is not of God. And again, he that receiveth the word of truth, doth he receive it by the Spirit of truth or some other way? If it be some other way it is not of God. Therefore, why is it that ye cannot understand and know, that he that receiveth the word by the Spirit of truth receiveth it as it is preached by the Spirit of truth? Wherefore, he that preacheth and he that receiveth, understand one another, and both are edified and rejoice together (Doctrine and Covenants 50:17-22). This passage shows that the things of God are to be taught by the Holy Ghost so that both teacher and student are edified. In a later revelation regarding one of the first Sunday schools organized in Kirtland, the Lord said: "Appoint among yourselves a teacher, and let not all be spokesmen at once; but let one speak at a time and let all listen unto his sayings, that when all have spoken that all may be edified of all, and that every man may have an equal privilege" (Doctrine and Covenants 88:122). Therefore, every member should share his or her views in turn as guided by the Holy Spirit until all have an opportunity to share and be taught. Sunday School was held in Kirtland, Nauvoo, and England in the early history of the Mormon Church. Sunday School classes were held for a set period of time to prepare missionaries or others for a specific duty or were conducted spontaneously and often out of doors. Sunday School was not organized and practiced consistently, however, until the 1840s, when a young man named Richard Ballantyne joined the Church in Scotland and journeyed to Utah. He had been a Sunday School teacher in a different Church and saw the importance of gospel instruction on a regular basis. In 1849, with permission from his bishop he organized the first Sunday School in Utah. The first Sunday School was specifically for children. Richard Ballantyne recorded, "There is growth in the young. [...] I wanted to gather them into the school where they could learn not to read and write, but the goodness of God, and the true Gospel of salvation given by Jesus Christ" (quoted in "Sunday School," Encyclopedia of Mormonism, Vol 3, p. 1424). In 1858 Sunday Schools were disbanded because the U.S. government had sent troops to Utah in response to false reports that the Church was planning an insurrection. In 1864, Sunday School was re-instituted and quickly grew to have a membership of thousands. In 1872 Sunday School was officially unified as an auxiliary of the Church and has continued as an important part of Church services ever since. The main Sunday School class for adults was known as Gospel Doctrine. Each year the class taught from either the Book of Mormon, the New Testament, the Old Testament, or the Doctrine and Covenants. The same book of scripture was studied by the entire Church around the world and rotated in a four-year cycle. Teachers were provided with a basic lesson plan which was designed to have more information that can be taught in the given class period. This enabled the teacher to prayerfully study, ponder, and then decide what needed to be taught most to the particular class. Because the same manual was used Church-wide, a member could travel and attend Gospel Doctrine class in a faraway place without missing a lesson. Teaching the Gospel: a course for teacher preparation. Marriage and Family Relations: This course was often taught in special wards known as married student wards near Church-owned universities. A bishop could also ask that this class be taught if he felt there was a need for it. Family History: where people could learn to research their ancestors. Temple Preparation: this course was usually offered in wards with many young single adults preparing for either missions or marriages. Missionary Preparation: held in wards where a number of young men and/or women were preparing to serve missions. Gospel Principles or Gospel Essentials: This class was also sometimes taught when a ward had a group of newly converted members in the ward. This class taught the fundamentals of the gospel and was often smaller, so that individual questions and concerns could be addressed. 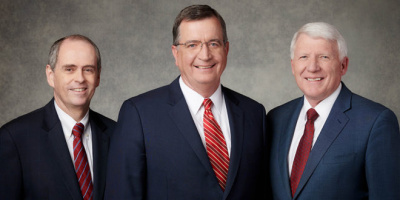 President Dallin H. Oaks of the First Presidency of The Church of Jesus Christ of Latter-day Saints announced a new Sunday School General Presidency to replace Brother Tad R. Callister, Brother Devin G. Durrant, and Brother Brian K. Ashton, who has served as a presidency for five years. Brother Mark L. Pace is the new president, with Brother Milton Camargo and Brother Jan E. Newman as his counselors. The announcement was made during the Saturday afternoon session of the 189th annual genral conference on 6 April 2019. Members of the Sunday School General Presidency advise on matters concerning Sunday School. The Church Newsroom reports that Brother Pace was born in Buenos Aires, Argentina, on 1 January 1957. He married Anne Marie Langeland in 1978. They are the parents of seven children and 17 grandchildren. Brother Camargo currently works as vice president of the curriculum at BYU–Pathway Worldwide. He and his wife, Patricia, are the parents of three children and 13 grandchildren. Brother Newman is a serial entrepreneur and has founded several successful software companies. He and his wife, Lucia, are the parents of six children and eight grandchildren. This page was last edited on 8 April 2019, at 07:31.